Like all the things we invested on, as a homeowner we always want to keep our concrete stamping work looking at its best primarily because we have spent a lot of time and money creating it to meet our indoor and outdoor stamping needs. But the thing that we should first consider is probably finding the right company that can cater all our stamping needs without cutting our budget. And we're glad to say that here in Concrete Contractors Little Rock if you worry much about these things then stop stressing about it! Our skilled masons will give you a decorative concrete that can last for years at a very affordable price plus you are assured that you can give your suggestions in case you already have one. In the event that you haven't thought of any design yet, we can give you sets of options suitable to your needs with the price range that you want. If you think that concrete is just concrete then we would love to show you that it's more than that. Concrete can be everything. It will give you a variety of choices like patterns, colors, and textures -and it's never limited. Stamping is one of the inventions that was known to man not too long ago and because of the concrete's versatility, stamping become one of the choices in any home improvement. The end result of this finishing process is not high maintenance. Meaning, you don't have to spend a lot in order to maintain its beauty. 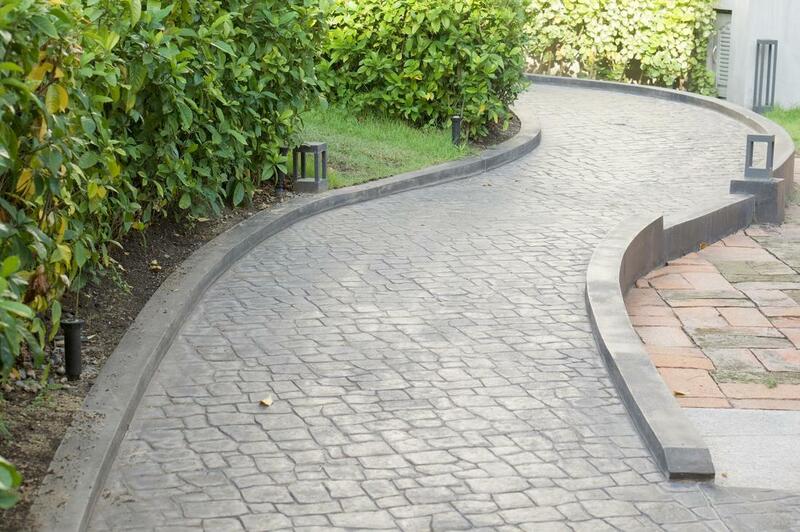 You can just sweep the dirt off and if it loses its color, you can easily restore the beauty of your concrete surface to its original look by applying a fresh sealant. Given these facts, with stamped concrete, you can get the look you dream of your house to possess! While you might be seeing a lot of videos and articles on the Internet that contains steps on how you can install your own concrete project, we strongly advise that you leave any of your decorative concrete plans to our professional team unless you have high a belief that you can do it by your own a.k.a certified concrete master. You may think that the process is easy, then believe us when we say "it's not!" Don't even think of doing it especially if you're still confused because you will just waste your money and it's even sadder to see your efforts go to waste because of a failed attempt. You don't have to carry the burden! Hire Concrete Contractors Little Rock's professional and skilled masons for your next stamped concrete project. With the extensive training, tools, and knowledge of the process, we will make sure that we will help you transform your space into something you just see in the magazines! We will work with you to get the exact style that you want. Don't hesitate to give us a call today and we will be willing to discuss everything that we need to get the job done in your property. And since you're the best, our consultation is all free.